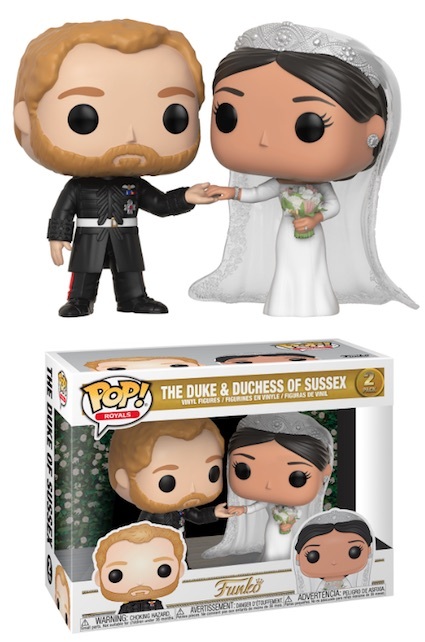 Funko Pop Royals introduces elegant depictions of Britain's famed first family. The release features notable royal subjects like Princess Diana, and her sons, Prince William and Prince Harry. 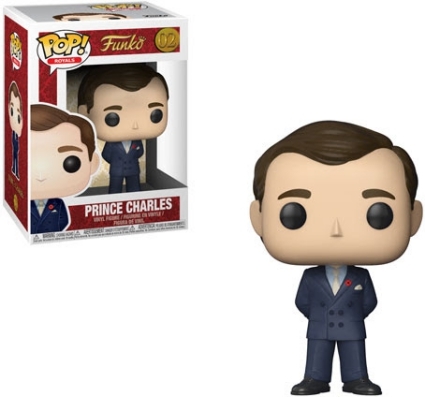 Funko Pop Royals marks the start of a new Pop! line. 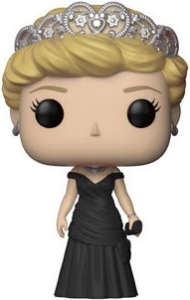 As you might expect, the matriarch is the first figure in the set. 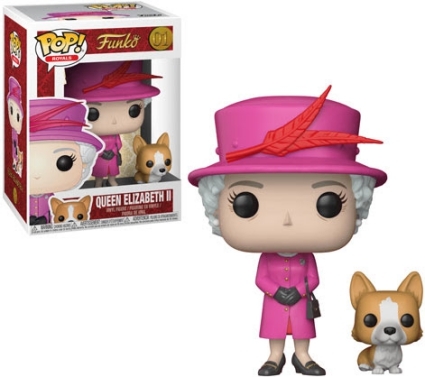 Joined by a corgi, Queen Elizabeth II is dressed in a pink dress coat with her signature hat accented by two feathers. Posed with his hands behind his back and wearing a navy blue suit, Prince Charles resembles his younger self with dark brown hair. 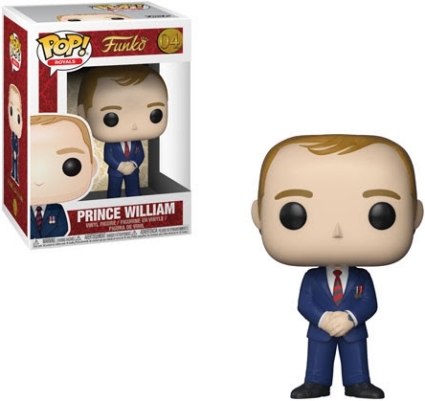 Order Pop Royals Figures on Entertainment Earth. 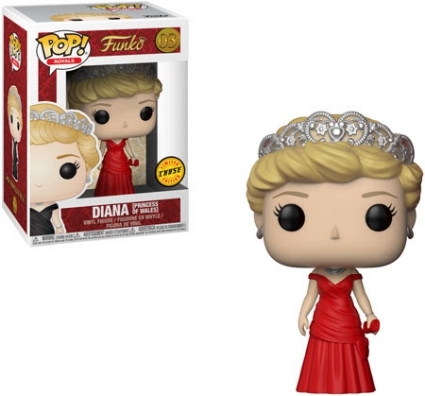 Arguably the most beloved royal, Diana, Princess of Wales, is featured in a black ball gown, while the chase variant (1:6 boxes) has a red gown. In addition, the Diana figure comes with diamond jewels—earrings, necklace and bracelet—and is topped with a tiara. 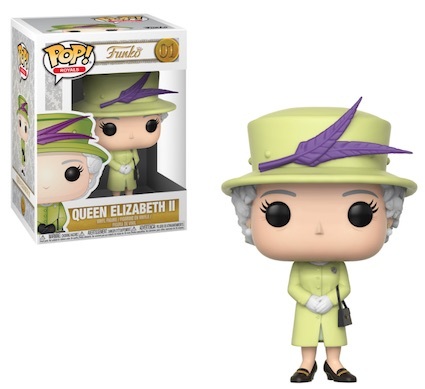 Funko Pop Royals also offers stylized figures for the younger generation. This includes Prince William and his wife, Kate, Duchess of Cambridge, who wears the iconic dress that brings attention to her blue sapphire engagement ring. 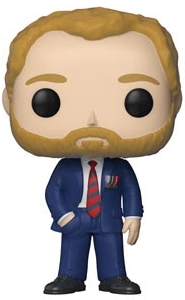 Of course, collectors can find the "rebel" Prince Harry with a full beard, dress coat unbuttoned and his hand in his pocket. 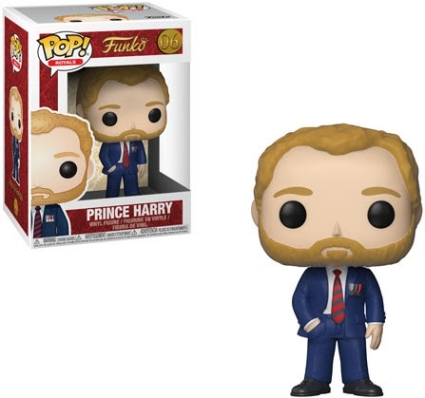 He and his wife, Meghan Markle, come in a special two-pack. 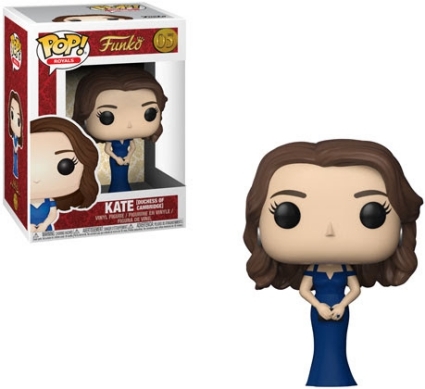 Funko Pop Royals Set with Diana Chase Lot Of 5 Free Shipping!!! !